At the bottom of the Garden: Thanks Aunty Leah!!! 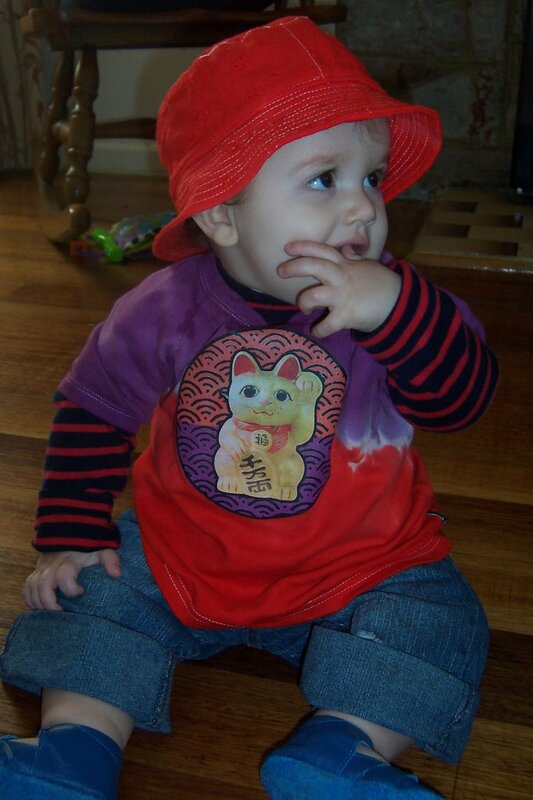 Thanks Aunty Leah for my funky threads! Me and Lucky Cat are about to step out on the town and wow the population with our Uber Coolness!!! PS. Mum wants to know, did you design the print yourself, or did you just have great luck fnding an image that perfectly matched the dyeing on the top??? Oh, and she thinks the cat's big eye perfectly match mine, she's such a dag! It looks ace on! He is too cute!